Our ETF-Market Timing Service provides intraday trading signals for the popular Exchange Traded Funds (DIA, SPY, and QQQ) through our SMT.IND System. These signals show the exact entry and exit trading prices and direction (long, short, or hold cash) for the ETFs we cover. Our system has been live since July 2001. In addition, members receive a very comprehensive weekly newsletter. The newsletter is posted in the Member&apos;s area and distributed via e-mail. Trading signals are sent to members via E-mail and/or SMS test messaging. Another element of our service is the adoption of a professional risk control system and a money management approach. There is nothing more important than applying the risk:reward ratio to all trades and preservation of capital in volatile market conditions. Understanding market dynamics and never marrying a position have been critical to the success of our trading system. 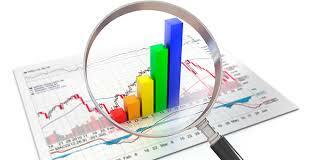 Our proprietary methodology uses mostly technical analysis for trading the popular ETFs. Our number one goal is to produce results that consistently outperform the buy-and-hold strategy of investing. The buy-and-hold is not a smart way to invest, since it takes years to recover when the market crashes. The two primary long term trends of the stock market are either a secular bull market or a secular bear market. Secular bull markets can sometimes last over twenty years. The most prosperous secular bull markets were from 1943-66 and 1983-2000. On the other hand, secular bear markets normally last between 10-14 years and sometimes longer. Since year 2000, the market has been in a secular bear market. Within any secular market, there will be many bull and bear market cycles. The latest bear cycle occurred when the S&P crashed over 57% in 2008 (see the chart above). The market then experienced the next bull cycle beginning in March '09. It is inevitable that the market will enter another bear cycle and could decline back to the highs of 2013. Nevertheless, in both secular bull and bear markets, we will continue to outperform the buy-and-hold strategy by trading the market. It is imperative to trade our accounts so that: (1) we protect our capital during a crash within a bear cycle, and (2) continue to outperform the buy-and-hold strategy of investing for bull and bear cycles. Members will have access to the exclusive Members Only page with the latest trading signals for DIA, SPY, and QQQ. This section will provide our current trading signals (long, short, or hold cash) for the various ETFs in order to achieve the highest-reward / lowest-risk results. 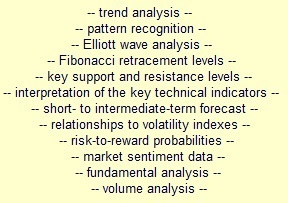 Members will receive an e-mail alert (and/or text message) when we produce a new trading signal. Members will also receive an e-mail each Thursday as a reminder that our weekly newsletter has been posted on the members page. We focus on quality customer service and respond to all emails in a timely manner. Members will receive full privacy protection, and will absolutely not receive spam or advertisements.